Nail A College Drop Out: Oh The Flossy, Flossy! Sing it with me, ♫G-L-A-M-O-R-O-U-S♫. Yes this polish IS named Glamorous. Yes I did have a Fergie moment. And yes you loved every single second of it. This is two coats of pure holographic GLAMOROUS goodness. I have a mini of this one and it is gorgeous! Mine is even somewhat linear if I layer it enough! 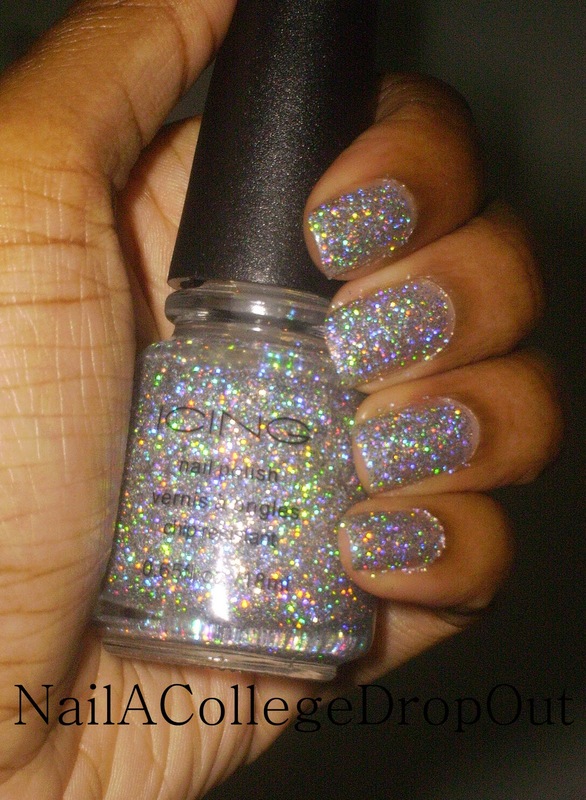 This has some serious sparkle! I have a back up of this one. It is awesome sauce. If It Glimmers It's Definitely Gold! Will the Real Teal Shady Please Stand Up? All Of The Lights! All Of The Lights!